12 Weeks to a Stronger, Fitter, Slimmer You – Body Transformation Challenge! Lose Weight, Lose Body Fat, Gain Lean Muscle Mass! 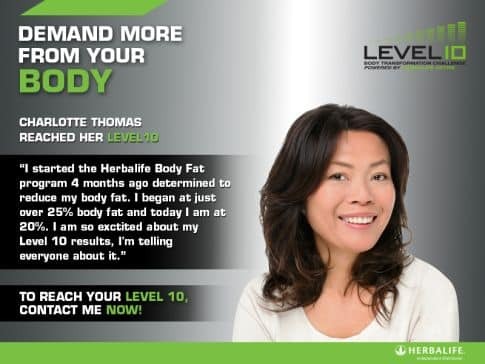 The New Level 10 Body Transformation Challenge encourages you to reach your ultimate goal and be the best you can be whether it be weight loss, body fat loss or even gaining muscle. Whatever the objective Herbalife has the best nutrition solution and exercise programs.